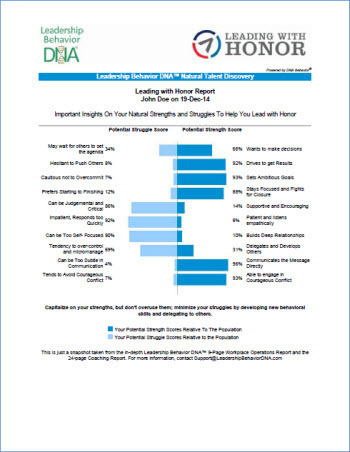 “The goal of many leaders is to get people to think more highly of the leader. Most great stories have a struggling protagonist and a mentor—someone who speaks into their life to help them find their way. You may recall Mentor from The Odyssey, the original “mentor” who spoke into the life of Telemachus, inspiring him to live up to his potential and preserve the home front until his father Odysseus’ return. In more recent times we’ve seen Obi-Wan Kenobi and Luke Skywalker, John Keating and his students in Dead Poets Society, and Gandalf and Frodo in The Lord of the Rings. In real life, there was Moses who served that role for Joshua. Socrates mentored Plato, who then mentored Aristotle. More recently, Warren Buffet has mentored several famous business leaders. In the POW camps Capt. Ken Fisher was that person for me. The bottom line of mentoring is that they speak into the lives of others to inspire and challenge them to overcome their doubts and achieve their potential. In the last few articles*, we unpacked the topic of core identity and how to move from insecure leadership to secure leadership. Every person is constantly sliding back and forth on this continuum, but there are practical ways you can help others move toward a more Secure Self. And this is crucial to be an honorable and effective leader. A healthy degree of inner-security that we have been talking about. With this insight, secure leaders can be intentional about affirming others. It’s a practical way of moving a person toward being more confident and secure. Those type of connections have more power than you can ever imagine. Recently while conducting a leadership training, I asked the participants to reflect on a person who had spoken power into their life (my way of asking about a key mentor) and altered their life and career. Several people shared their story, and they were so moving! What they described was how one person’s words had moved them toward a more secure and confident self. Why would any leader not want to be a launcher or booster to lift others up? Can you imagine the kind of organization that comes when its leader is intentionally providing this kind of heart-connections with people? 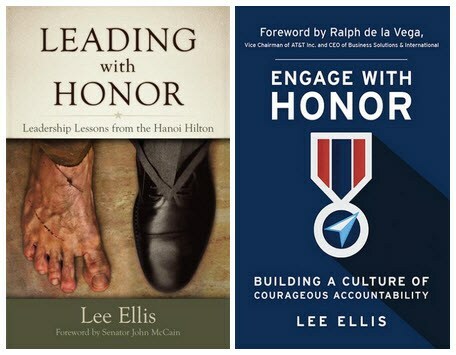 In my book, Engage With Honor, I explain the Courageous accountability Model™ with one of the steps called “Connect with the Heart”. This affirmation and encouragement is much more than logic or reasoning of the head—it’s a heart connection. 1. Train your mindset so that it will support your heart in this effort. – Read Chapter Seven of Engage with Honor. – Watch Dr. Richard Boyatzis’ online videos on resonant leadership. His many years of research and teaching in emotional intelligence and resonant leadership lay out the evidence that scientifically proves the power of compassionately caring and connecting with others in this way. – Accept that you will have to be vulnerable and genuinely open yourself to make this connection. – Begin to observe others and see them as valuable human beings that are struggling to gain a foothold with their own security and confidence. – Look for ways to affirm them, remembering it must be true and genuine. You may even want to write a short one or two sentence script if it seems difficult to do. 3. Look for a good opportunity and deliver your message. At first, this may be a bit mechanical for those who are highly results-oriented, but it will get more comfortable. Soon it will start to come more naturally. 4. Make it a habit and use tools if needed. There was a story about a senior vice-president at BellSouth (now part of AT&T) who put ten dimes in her pocket each morning. Every time she affirmed someone, she moved a dime to the other pocket. Her goal was to move all ten dimes over before the end of the day. How is that for being intentional? It may sound hokey, but it worked. She was an amazing leader who got great results, and people did not want to let her down. Remember the goal is to become more intentional in connecting with the hearts of your team (and others too). So, do you see the power you have? Are you willing to engage with your people to make help feel more secure and confident? Expect a real return on your investment. Give it a try and then let us and others know how it’s working for you. “I believe our country is at one of the most crucial periods in our entire history. Lee’s book represents an important ‘instruction manual’ for righting the ship.” – Bob Littell, Chief NetWeaver – NetWeaving International & The Enrichment Co.